On July 29, 2018, the "Haalogaland" suffered technical trouble. The operator Torghatten Nord AS informed about the cancellation iof the sailings Revsnes - Flesnes from 5 p.m. until the end of the day. The ferry was sidelined in Revsnes. Trollhatten AS had to stop the ferry service Refnes-Flesnes in the evening of June 28, 2018, after the "Hålogaland" suffered technical trouble. The problems had started earlier, but the ship remained in service throughout the day, but the problems continued so the service was canceled until further notice for investigations and repairs. 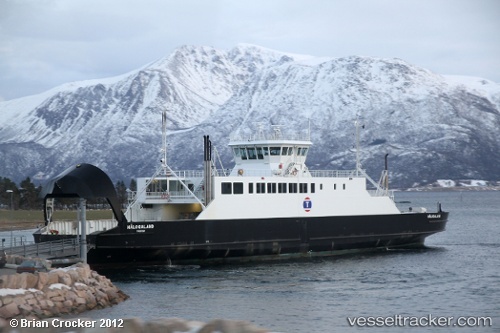 On Sep 22, 2014, at 8 a.m. the "Hålogaland" serving the route between Flesnes and Lonin was stopped by technical trouble and the ferry sidelined in Lonin. The ferry connection was canceled until further notice. It was hoped to have the ferry back in operation at 8 p.m. with a sailing from Lonin.